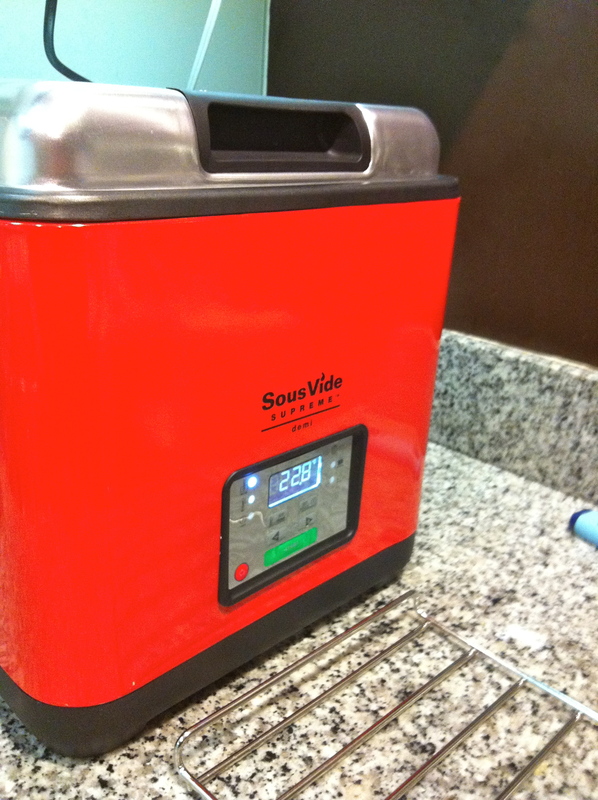 My Sous-vide Machine, the Sous Vide Supreme demi! Thanks to my dad for the best christmas present ever! With Sous-vide, place the food in a Ziplock and immerse unlocked bag in a large enough container of water keeping the opening above the water level. The water will force out the air creating a decent vacuum. Seal without letting any water in, and you’re ready to Sous-vide! This is great cause now you can skip on buying the vacuum sealer and the special bags.